Nexus Properties, Glassboro and Rowan University have teamed up to create new downtown that benefits students and local residents alike. Fourteen years in the making, Rowan Boulevard is nearing completion. 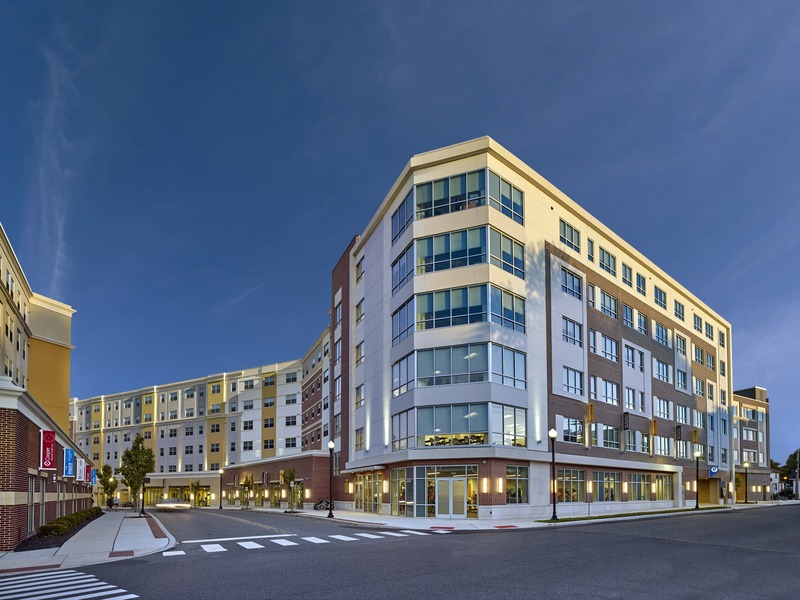 The $425.5 million redevelopment project has resulted in a mixed-use project that serves both the community of Glassboro, New Jersey, and the Rowan University campus and the final phase will open in August 2018. At completion, Rowan Boulevard will feature 2,771 student beds, 82,000 square feet of classroom space, 114 market-rate apartments, a 129-room hotel, 28,000 square feet of medical space, a 17,700 square foot fitness center, a 1.75 acre town square and two parking garages totaling more than 2,300 parking spaces. The project is the result of a “public-public-private” partnership between Rowan University, the Borough of Glassboro and Nexus Properties. This entry was posted in News on November 1, 2017 by Kathy Ward.